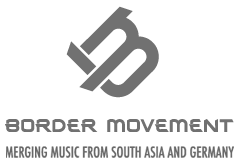 Border Movement Lounge will showcase established and upcoming artists and producers of electronic music from across South Asia and Germany. Border Movement Lounge explores a new alternative event-space, ranging from the Burdwan Palace to Hooghly Jute Mill. This time we are hosting it at the heritage property Magnet House as a part of celebrating World Heritage Day.